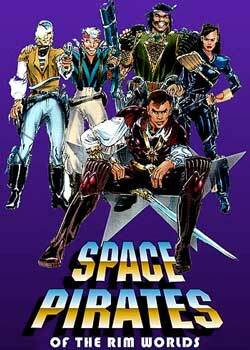 SPACE PIRATES- Civilizations of our central galaxy have fallen under the maniacal power of the Quinton Ducat. The body of the Ducat Prime, a young Alexander the Great, has been put into suspended animation. 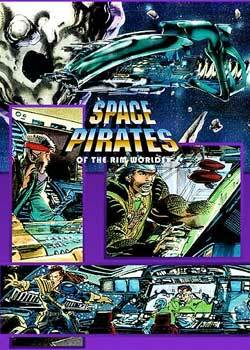 A small group of Space Pirates have stolen his body and taken it to the Rim Worlds to a small blue planet... Earth. Here to revive the Ducat and begin to fight back. It´s a shame that the fate of the galaxy is in the hands of such as these “Space Pirates”.